Jennifer is a Certified Personal Trainer through the American Council on Exercise and is Barre certified. She received her A.S. in Exercise Science from Manchester Community College. Jennifer has acquired a great amount of experience working with clients of all ages and fitness levels. The focus of her training has been on general fitness, weight loss, injury prevention, sports specific goals, and senior fitness. 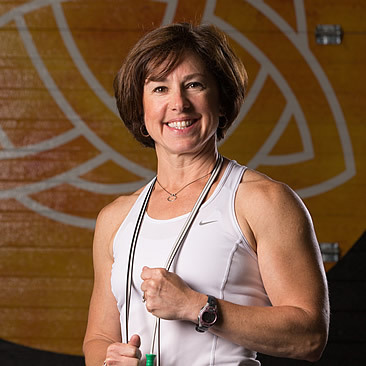 She offers a variety of exercise options to her clients including: bootcamp, running programs, strength training, flexibility/core training, and interval training. Whatever your goals, Jennifer will help you achieve them. Her dedication is to the well-being and success of her clients; her ultimate goal is to empower her clients to live a healthy lifestyle.